Deputies from the Broward Sheriff’s Office (BSO) recently arrested a father-son duo for operating an illegal drug business from their home in Dania Beach, a few miles from the city of Miami. Richard Garabedian, 74, and his son Brad, 36, were arrested after the BSO officers conducted a raid on their home and found a large amount of marijuana and other illicit drugs. According to authorities, medicinal-looking vials of marijuana, cigarettes dipped in tetrahydrocannabinol (THC), and THC oil syrups were put on display inside the house. “This was a store. They were running this as a business,” said Joy Oglesby, BSO spokesperson. According to police, around 9 kilograms of cannabis, 391 grams of cocaine and 302 grams of THC oil were recovered from the house. Along with these, the officers also seized arms and ammunition, including 19 high-powered rifles, and a bulletproof vest. The duo faces numerous drug charges, but currently out of jail after posting their bond worth over $200,000. After the legalization of medical marijuana in Florida, the state has witnessed a rise in the cases of pot abuse. 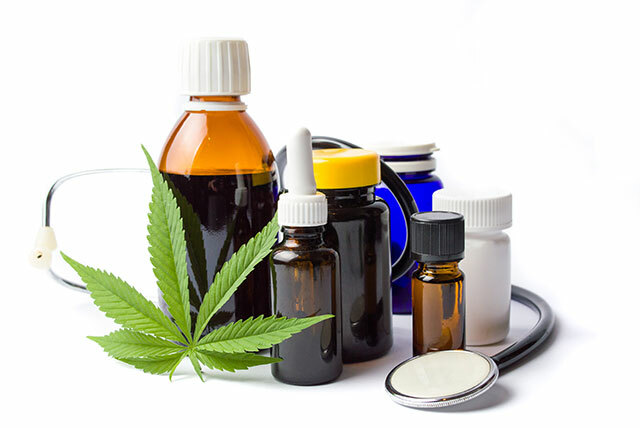 Understanding the fact, the Florida Department of Health’s Office of Medical Marijuana Use (OMMU) is focused on safeguarding lives and ensuring that the availability of medical cannabis is limited to a selected few. For example, low-THC marijuana products have been made available only to the qualified patients at 27 dispensing locations. However, efforts by the health department have not produced the desired results as the weed is still being used and sold illegally. The need of the hour is to spread greater awareness about the dangers of pot addiction so that people themselves begin to stay preventive and avoid its abuse. THC is one of the 113 chemical compounds or cannabinoids that are present in a cannabis plant. A psychoactive constituent that majorly excites the brain cells, THC is known to enable the release of dopamine, which in turn makes one experience euphoria. The compound is also known to interfere with the functioning of hippocampus, a part of human brain that is responsible for forming new memories. The effect of THC can last for about two hours, and can induce hallucinations, delusions, psychosis and even alter an individual’s thinking pattern. The effects of THC are not limited to altering the functioning of the human brain. It can also cause lung cancer, increased blood pressure, nausea, vomiting, and heart attack. A study revealed the long-term effects of abusing marijuana and stated that individuals who begin to smoke marijuana heavily during their teen years and continue doing the same may lose an average of eight IQ points between ages 13 and 38. If you or a loved one is addicted to marijuana or any other drug, and is looking for details about the best addiction rehab facilities, contact the Miami Drug Treatment and Rehab Center. Call at our 24/7 helpline number 305-615-2028 or chat online with our representative to get more information about the best drug addiction treatment in your vicinity.